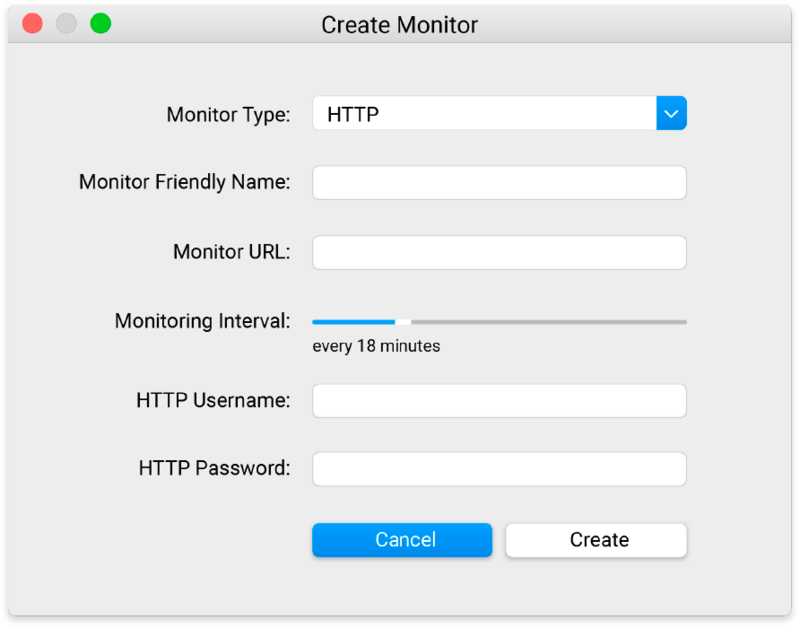 Meet Uptime Monitor for Mac, a lightweight Mac OSX client for UptimeRobot. 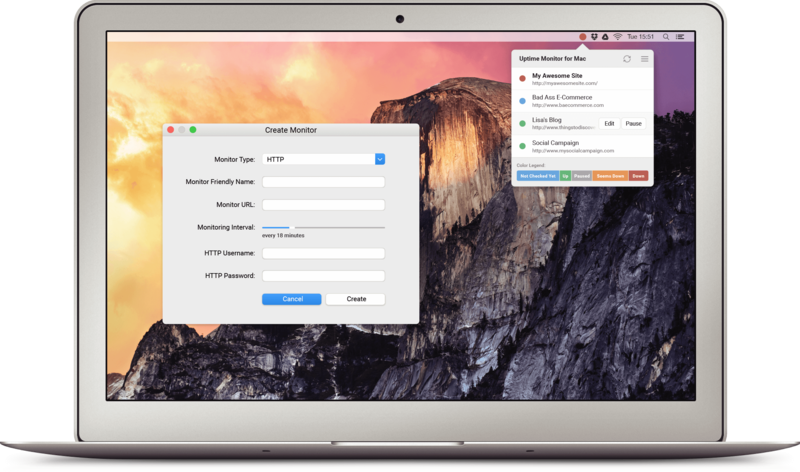 Get notified instantly when downtime happens and avoid major disasters. Setting up a new monitor is simple! Just add all the required information and it will do the other work for you. Only check on what's important to you! Select statuses of interest and see all you need right on your menubar. 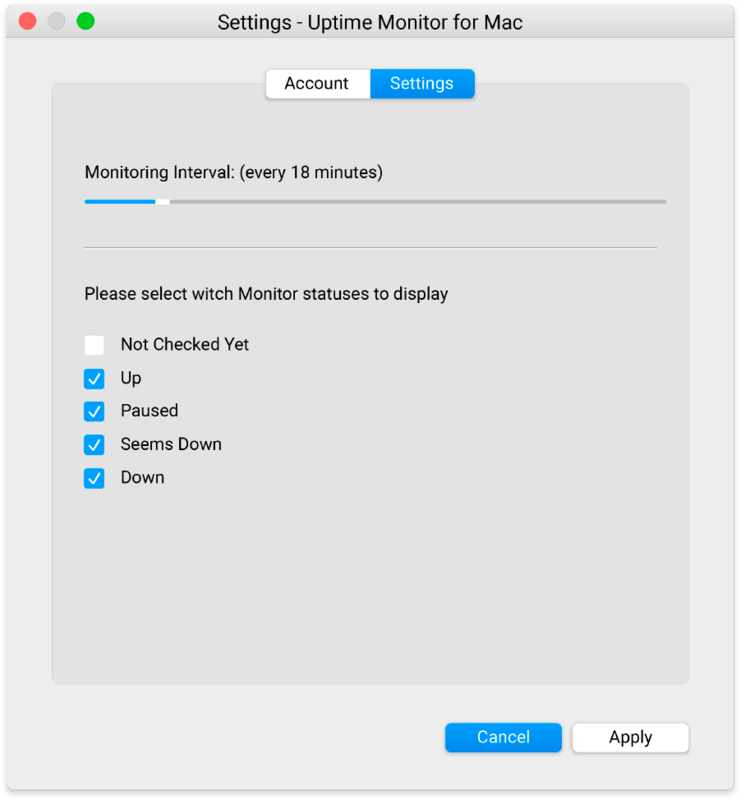 Copyright © Uptime Monitor for Mac 2016. All rights reserved. View our Data Policy and Terms.